Established in 1980, the Bronx Museum’s Artist in the Marketplace (AIM) program is one of the most celebrated and longest running professional development programs for emerging artists residing in the New York metropolitan area. AIM consists of a 13-week series of expert-led seminars that address the practical concerns of establishing a sustainable artistic practice in today’s competitive art market. 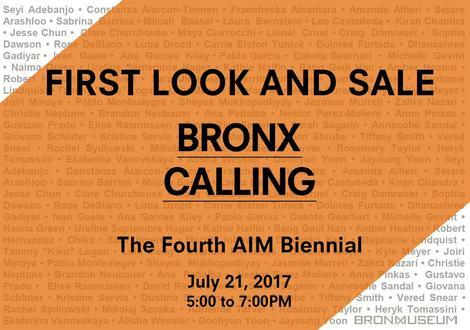 Every two years, the Bronx Museum introduces the work of 72 AIM artists to a greater audience via exhibition and catalogue.